As we prepare to leave the land of “hella” and composting, and enter a world of 24-Hour Fitnesses and bleached blonde hair, we must take this time to re-hash proper etiquette and important tips and tricks for surviving the bago. 1. Company: Carefully select amongst your closest friends; this is a key component. Be sure to choose friends who will not bore/annoy you for a solid eight hours straight. 2. 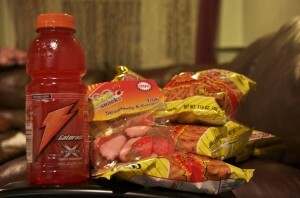 Snacks: Junk food is crucial to heightening your bago experience. No matter what the snack, be sure it contains high doses of fructose corn syrup, sugar and carbs. This will ensure that you stay awake and alert throughout the entire journey. 3. Memorize the Cal Drinking Song: This is essential to having a successful In-n-Out stop. Trust me, there is nothing worse that pretending to mouth along to the song while 100 other students in the In-n-Out line prove they are better fans than you are. 4. Wear proper shoes: You will absolutely need shoes with good friction. As the bago rolls on, cups will consistently plummet to the floor, and it gets SLIPPERY! Be sure to wear comfortable and practical shoes. 5. Hold all your things: Never, and we mean NEVER, place your food or drinks on the tables within the bago. They WILL fall with every lane change or left turn the bago takes. The only way to keep dry is to hold your food and liquids at all times. 6. Bring cards: By about hour 4, small talk and singing along to the blasting frat-music playlist will get old. This is when you bust out the cards. A little Go Fish can go a long way. 7. 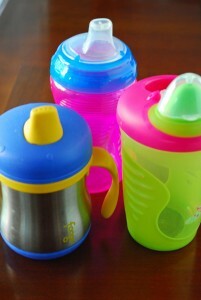 Bring a sippy cup: The so-called “spiller,” every bago has one. To ensure that you’re not the bago “klutz” opt for a sippy cap rather than the quintessential plastic red cup. 8. Never look out the front window: The bago is going fast, very fast. And it is most likely driven by a less than confident pledge. So it is in your best interest to keep your eyes and all body parts inside the bago. What you don’t know can’t hurt you. 9. No nice clothing: Like we said before, you are going to be dirty and sticky when you leave the bago. Avoid your favorite shirt and opt for your cheesiest bro-tank. 10. Consolidate bathroom trips: Sharing a tiny moving bathroom with 15 other people can never be sanitary. Thus, limit your bathroom trips as much as you can. We hope these guidelines help make your bago experience the best it can possibly be. No matter what the outcome of the game is, you always have the bago back up to Berkeley to look forward to! Image source: joseph a, SliceOfChic and onelastsunrise under Creative Commons. 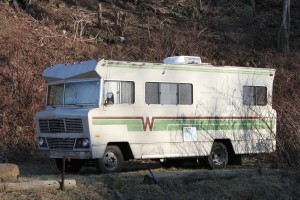 I’ve been roadtripping in a ’72 Winnebago several times now and all of these are SO true!! Luckily for me, the guys driving are expert bago drivers…and vaguely more responsible, probably.